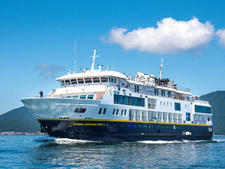 One of the biggest adventure cruise lines in the industry, Lindblad has created the perfect blend of comfort and expedition with its 100-passenger ship, National Geographic Venture. 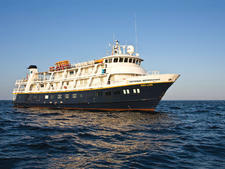 A relatively large vessel, by expedition standards, the ship maintains Lindblad's focus on sustainable, respectful travel while providing passengers comfortable spaces to socialize, dine and sleep. Built in 2018, Venture features a totally casual vibe, as passengers and crew tend to be single-minded in their focus on adventure and wildlife. You won't find a formal night anywhere, and most doors -- including those to your cabin -- are usually unlocked. There's even an open-bridge policy; if you want a tour, just knock on the door. 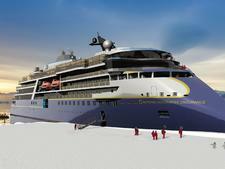 Venture is highlighted by a magnificent lounge, which includes big windows, binoculars galore and comfortable seating for cocktail hour or lectures. Cabins are larger than you'll find on many other expedition ships, and while they're still compact, they're well laid-out to maximize the space. The ship also has a large marina opening directly to the water -- necessary because virtually all of the excursions are reached via small motorized rubber boats (known as rigid inflatable boats or RIBs). 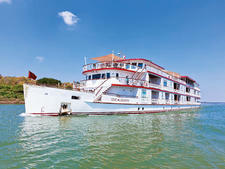 In fact, as lovely as the ship is, it truly serves as the backdrop for Venture's itineraries, which are geared toward passengers looking to actively explore locations by land and sea. 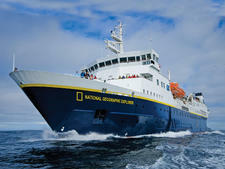 Passengers on National Geographic Venture are mostly mature North Americans traveling in couples. They tend to be well-educated and curious, and they share an adventurous spirit. Families are more common during the summer and at holiday time, and kids are usually comfortable in an adult environment. Announcements and paperwork are in English only. There's no dress code on Venture. It's simply about comfort. Onboard, jeans, T-shirts, shorts, hiking or workout gear are acceptable. It's more important to pack for the itinerary you're sailing. That generally means layers, with clothing that is moisture-wicking (or waterproof), solid hiking shoes, water shoes, hats and gloves for colder environments, and backpacks for taking ashore. 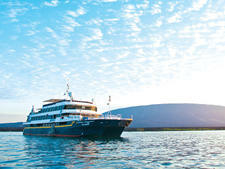 Lindblad provides personal floatation devices and wetsuits for use during water activities. 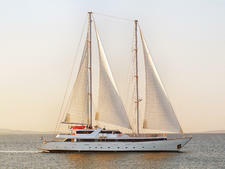 It also offers boot, pants and pole rental services for its Alaska sailings; these must be ordered at least 13 days before your sailing and are delivered to the ship for your cruise. 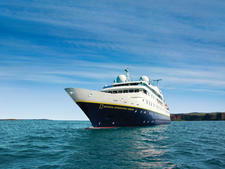 Cruises on National Geographic Venture include all meals and shore excursions. Nonalcoholic beverages, including soft drinks, tea and coffee, are included all day. 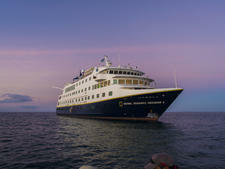 Lindblad covers all sightseeing and entrance fees, along with gear for snorkeling and walking sticks. Hors d'oeuvres and snacks are served during the nightly recaps. You'll pay extra for alcoholic beverages, spa treatments, scuba diving and the internet, which is charged by the minute. 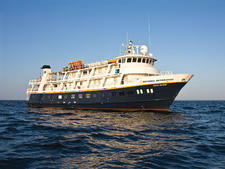 Gratuities also are not covered; Lindblad suggests tipping $10 per person, per day. (So for a seven-day sailing, for example, a couple would tip $140.) Tips are divided among the staff. Spa personnel are not covered under this policy, expect to tip the therapist separately -- around 18 percent. A few additional optional excursion choices might be available in some ports, and these will incur an extra cost.